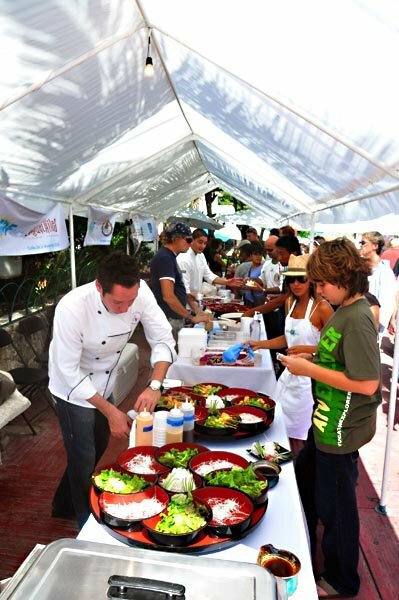 Playa del Carmen, Mexico- April 2 2011 – Playa del Carmen’s third annual Taste of Playa has been announced for November 20, 2011. Taste of Playa, the Riviera Maya’s premier culinary festival, will once again be held in Parque Fundadores on the shores of the Mexican Caribbean. This day-long event will offer residents and visitors alike a unique opportunity to sample a wide variety of cuisines created by many of the region’s local chefs. Distinctive restaurants from all along the Riviera Maya will gather to showcase new menu items and highlight old favorites. Pleased by the success of Taste of Playa 2010, many of last year’s corporate sponsors and participants have already pledged their support for Taste of Playa 2011. “We are already seeing a lot of interest this year.” remarked event Chairperson Monica Hartlief. “The event grew much faster than we had anticipated. A lot of restaurants have already contacted us to reserve a place.” Over 40 restaurants, bars and specialty food merchants will offer their signature dishes to a crowd that is anticipated to exceed 7000 people. Originally conceived in early 2009, Taste of Playa is organized by a Committee of Playa del Carmen business owners who strive to draw positive attention to the many and varied cultural resources of the Riviera Maya. Community events, such as the Mexican Wine Festival, held for the first time in February 2011 and the Riviera Maya Jazz Festival, looking forward to its eighth successful year, have become an integral part of the campaign to promote and attract new visitors to this beautiful region. Taste of Playa is a community-oriented culinary event that celebrates the creativity and diverse cultural influences of chefs throughout the Riviera Maya. 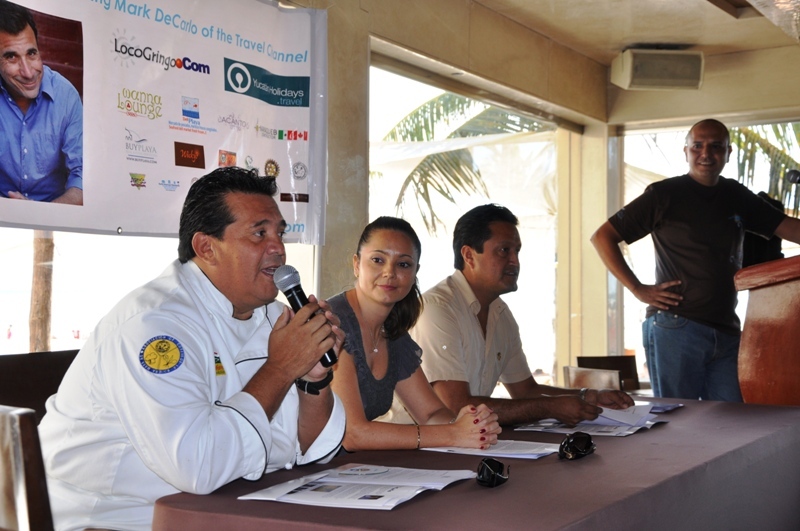 Playa del Carmen’s third annual Taste of Playa has been announced for November 20, 2011. Taste of Playa, the Riviera Maya’s premier culinary festival, will once again be held in Parque Fundadores on the shores of the Mexican Caribbean. 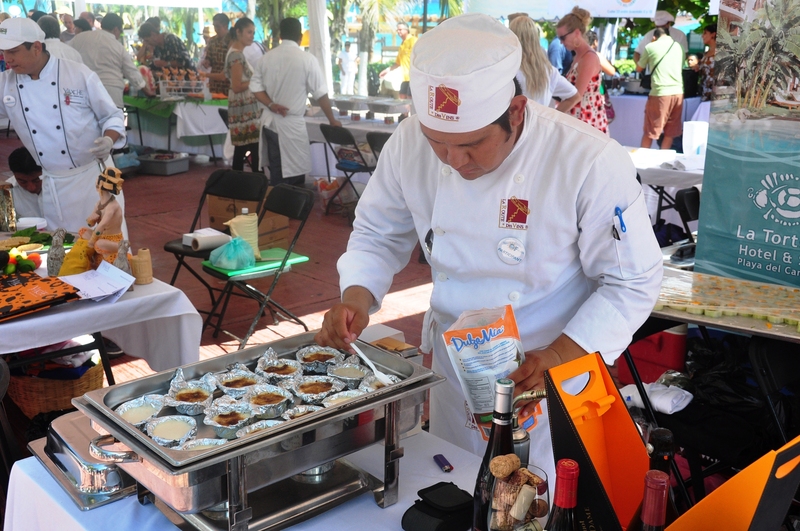 The event is open to the public with tickets and all-inclusive VIP passes available for sale on the official event website http://www.tasteofplaya.com starting around July 1, 2011. 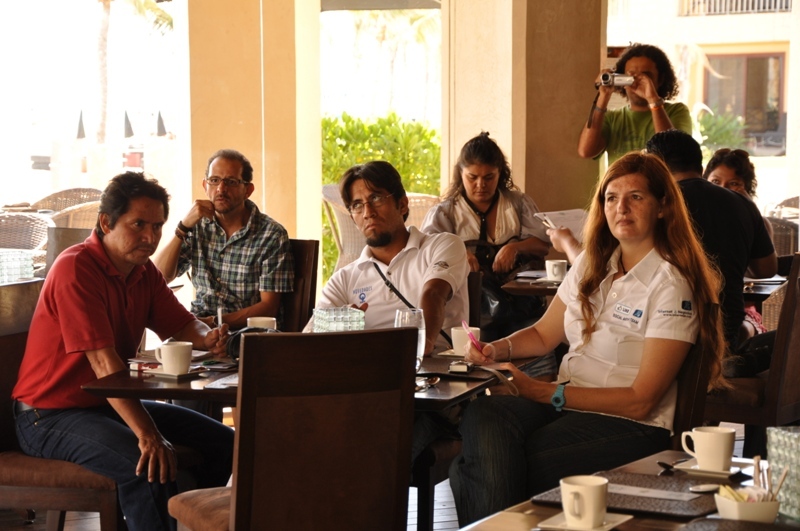 On Tuesday morning, 24 reporters and photographers from 16 of the Riviera Maya’s media outlets gathered at Wicky’s Restaurant and Beach Club to get the scoop on Playa del Carmen’s upcoming culinary event, Taste of Playa 2010. For this, the second annual sampling, expectations are naturally high after the success of last year’s inaugural event. If the interest and enthusiasm of the media are any indication, we should expect another great turnout for a fabulous day of fine food and high spirits! Special thanks to our own Armando Elizalde for leading the Press Conference and speaking on behalf of the Volunteer Executive Committee. Also, thanks to Roberto Pena representing the Rotary Club of Playa del Carmen, the beneficiary of this year’s festival proceeds, Natalia Schweitzer speaking for LocoGringo.com and all the generous corporate sponsors and finally, Hector Escobedo of the Riviera Maya Association of Chefs. 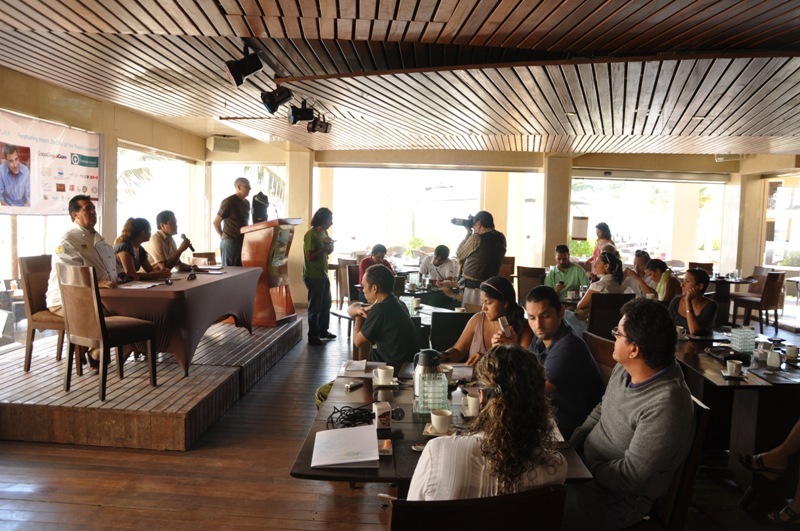 We also would like to thank our friends in the local media without whom we could not possibly reach out to the entire Riviera Maya community and achieve the attendance we hope for. Taste of Playa is a community-oriented culinary event that celebrates the creativity and diverse cultural influences of chefs throughout the Riviera Maya. 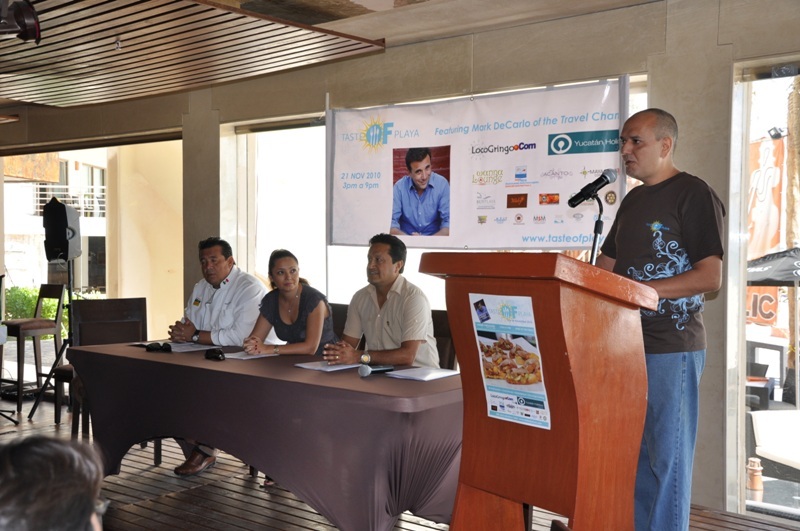 Taste of Playa 2010 will take place on November 21, 2010, in Playa del Carmen’s Parque Fundadores. The event is open to the public with tickets and all-inclusive VIP passes available for sale on the official event website http://www.tasteofplaya.com starting July 1, 2010. Proceeds will go to a food education program initiated by the Rotary Club in Playa del Carmen that will directly benefit the children and families of the Riviera Maya. 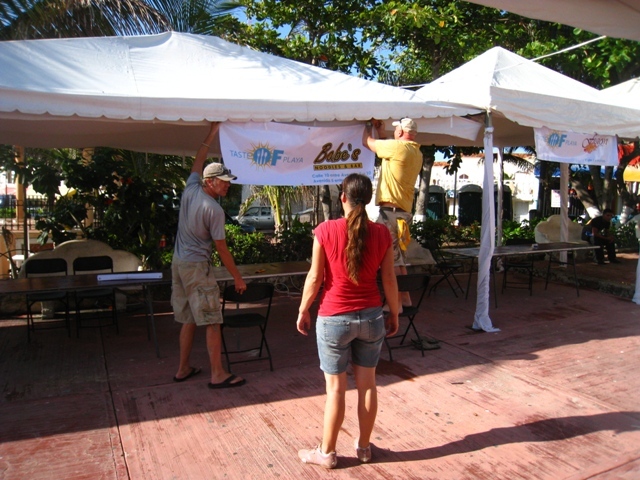 This is a guest post written by Andreas W. Matthes, owner of Protec Diving in Playa del Carmen, volunteer at the Taste of Playa 2009, and Attendee at the 2009 event. We have titled this post ‘Double Trouble’ as Matt was a great volunteer and attendee AND did a fabulous job photographing the event. Thanks Matt for sharing your perspective and we look forward to having you ‘hanging stuff’ at this years event. Last year I went to this fabulous event, Taste of Playa- The 1st Annual Sampling, under an azure blue sky with a slight breeze going over my bald head. 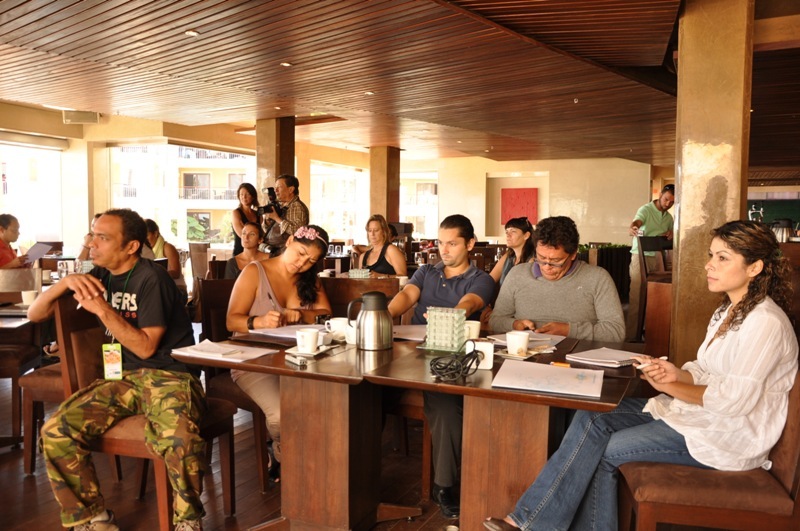 The event was held in the heart of Playa del Carmen, the Zocalo, Parque Fundadores on Av. Juarez, with the beautiful old beach right in front showing all visitors a view of the Mexican Caribbean . 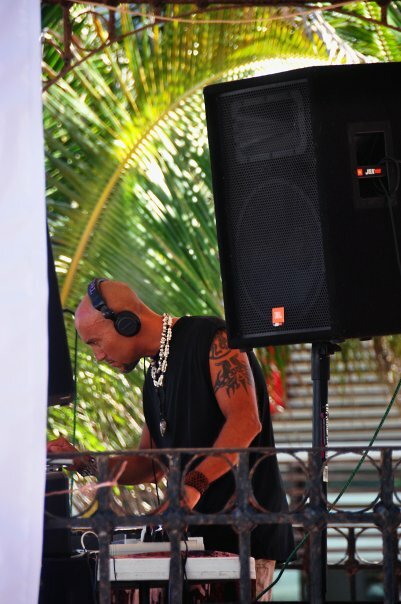 As I have live in Playa for 15 years, I always get invited to help out as I am a big guy so I was not surprised to be asked to come and assist the morning of the Taste of Playa event. Frankly I had no real idea what was going to happen but as kind (and tall) as I am; I always like to help out someone. So up go the signs and tents in the early morning and I started to wonder what this event was going to be, all the restaurants and bars, many of them my long time friends, coming together for a day to offer a bite to eat. No dish, no plate, no bowl or cup. It was going to be a day of the ‘perfect bite’ from over 25 restaurants. After hanging up all that stuff, I went for a shower and a nap and when I got back I hardly could believe my eyes how many people where about to check out the bites, food, tastes and fares of I can’t remember how many restaurants and bars. What an event! Lots of people, lots of families with their kids, with everyone enjoying a happy family and friendly atmosphere. I lost no time getting myself a VIP pass, a little booklet where I could walk up to the restaurants and get a bite and they took a page out of the booklet, entitling me to overeat on tasty food. There was a separate section for the VIP participants with white table cloth tables and chairs reserved for the weary and hungry Very Important Persons, me, and a bunch of friends eating and drinking till the night came on. What a blast, what a brilliant idea. Real money is useless on that day, all coupons need to be pre-bought at the cashier on site so you had a bunch of Playa money, taste money, yum yum money. What a fabulous idea. The Taste of Playa. A bunch of bars and restaurants offering their particular taste, really cheap and not too much so you can taste and try say 25 different restaurants, well, maybe 15. The presentation of the whole event was very well done, high end you might say, but not with a high end price. The restaurants and bars gave their best and all was very elegantly decorated. The food was awesome, the drinks cool, old friends always good for a laugh and new friends made while eating ourselves around and around the Zocalo. I am looking forward to the 2010 event, the 2nd annual sampling and I will be there, hanging up some stuff in the morning volunteering again and then have a blast during the afternoon eating’ and drinking’ with old and new friends. All photos courtesy of Andreas Matthes. 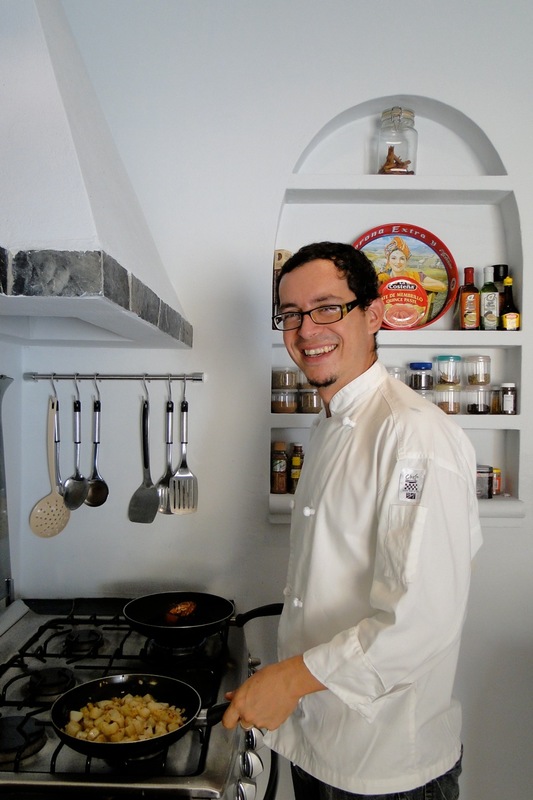 Today, on his day off, Chef Pablo Espinosa, of The Little Mexican Cooking School is perfecting the dishes he will present at the cooking demonstration at the Taste Of Playa on November 21st. Chef Pablo will be presenting a meal that is simple to produce but full of interesting flavours that reflect Mexico’s rich culinary heritage. i am lucky enough to be the taster, so I am looking forward to lunch today! Taste of Playa 2010 = Great Shopping!! You will NOT be disappointed in the Specialty Food Shops participating in this year’s Taste of Playa MarketPlace on November 21st! These select shops will showcase their unique products. Some will offer free samples of their favorites! All will be selling products you can take home with you. Some, you will want to eat right then and there. Some, will be the perfect ingredient for your next meal at home and others make the perfect gift or souvenir for family and friends. Eating and Shopping and Eating… what could be better??? A sneak peak of some of the products you can purchase at this years event. With almost 40 restaurants, 8 SpecialtyFood Shops and Celebrity Chef Mark DeCarlo from the Travel Channel doing cooking demos with Chef Pablo … YOU WONT WANT TO MISS IT! Why does one bar become a favorite local hangout and the other one never seems to make it? I don´t know of course, because if I did I would be selling this answer for a lot of money. What I do know is why I keep going back to the same place: location, atmosphere, music, service and people pretty much covers it. The Dirty Martini Lounge in Playa del Carmen is one of the places I keep going back to. You could call it my favorite local hangout, and I´m not the only one who thinks so because it is often packed with locals, local expats, semi-local expats, tourists, returning tourist, etc. The Dirty Martini Lounge is not very big, it has a funky classy (yes, that sounds impossible) European style decor, and feels like a bar more than a cocktail lounge. You can comfortably sit at the bar or on the deck that looks out over the street while sipping your favorite drink. I suggest you try one of their signature martinis like the Cucumber Martini (all invented by Karen Lange, one of the owners). If martinis are not your thing, no problem, they have all the other stuff like beer, wine, spirits, tequilas, etc as well. One of the best things about the Dirty Martini is the music. Greco, one of the owners, is a real music buff and he makes sure there are always great tunes playing in the bar, ranging from blues and jazz to country, pop and rock. Service is of course very important as well and the Dirty Martini has a small group of staff that knows most people by name and drink, so don´t be surprised if your regular drink is standing on the bar as you´re walking in! Cynthia, Meyssi, Paloma, and Vale know their regulars and their cocktails. Anyway, I can go on and on describing all the good things you´ll find at the Dirty Martini Lounge. I suggest you come on down and check it out yourself. 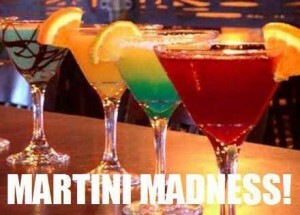 Dirty Martini Lounge – 1st Avenue between street 10 and 12, open daily from 1 PM to 2 AM, Fri and Sat until 3 AM. 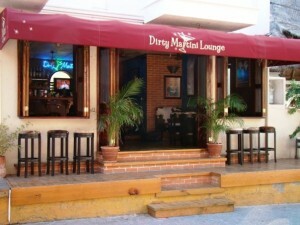 You can also visit the Dirty Martini Lounge on November 21st at Taste of Playa 2010. 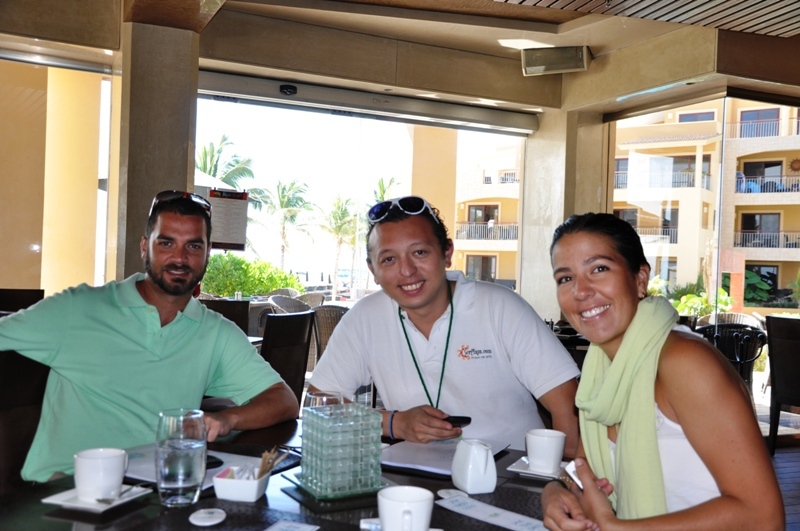 Written and submitted by Monica Hartlief, Restaurant Chairperson for Taste of Playa 2010 and owner of Latido de Mexico, a local property management and vacation rental company. 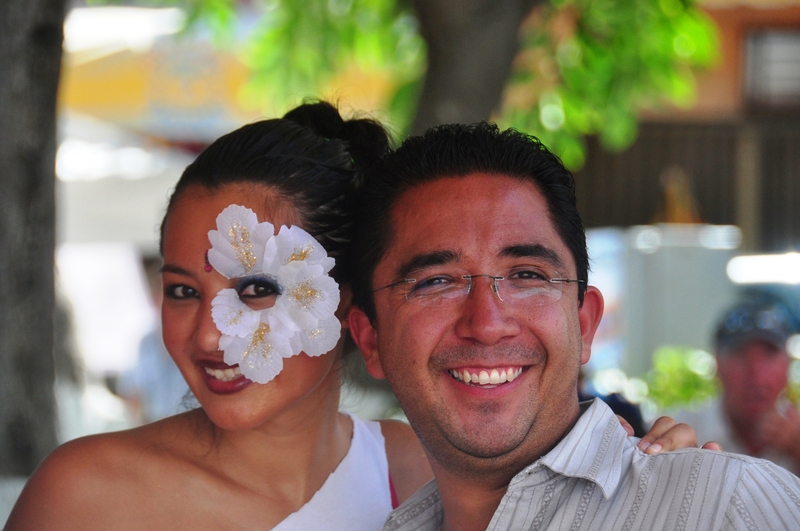 The one thing you will find in Playa del Carmen, Mexico is diversity! This is true in many ways and most delightfully when it comes to food. Playa del Carmen has locals from all around the world. Thankfully the Italians make-up some of our diverse community and with this comes some welcomed specialty food shops. If you are looking for a taste of Italy try Sapori di Casa and Sabrina Pasteleria Italiana. 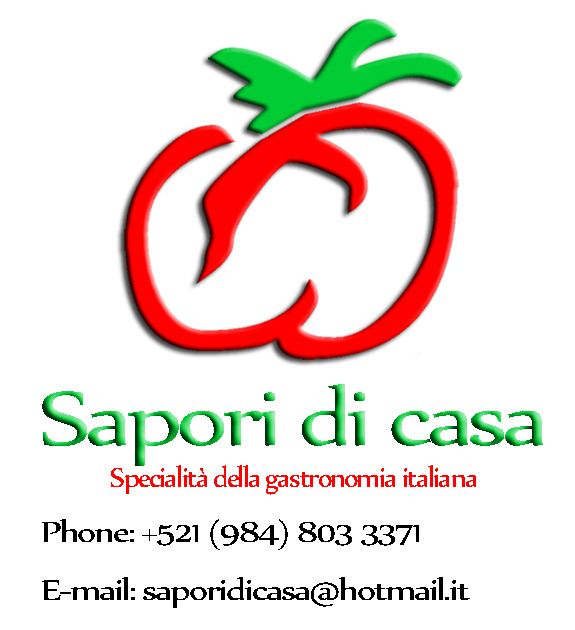 Sapori di Casa can offer typical Italian Sandwiches, Deli meats, cheeses, breads, pasta sauces, homemade and dried pastas, Italian espresso and coffee, sweets and much more. (I have been known to stop in for a dozen or more thin slices (100 grams or so) of prosciutto or mortadella and eat it before I leave the shop). If you are having a battle with a sweet tooth, you will not be disappointed with the selection of delicious pastries at Sabrina Pasteleria Italiana! The best part of looking in the gorgeous case of sweets is that they have bite size treats (well, they are really 2 bites) which allows you to have one of many. Sabrina’s artesenal baked goods, authentic Italian bread and homemade pizzas and sandwiches and Italian coffee’s will make an impression on you. 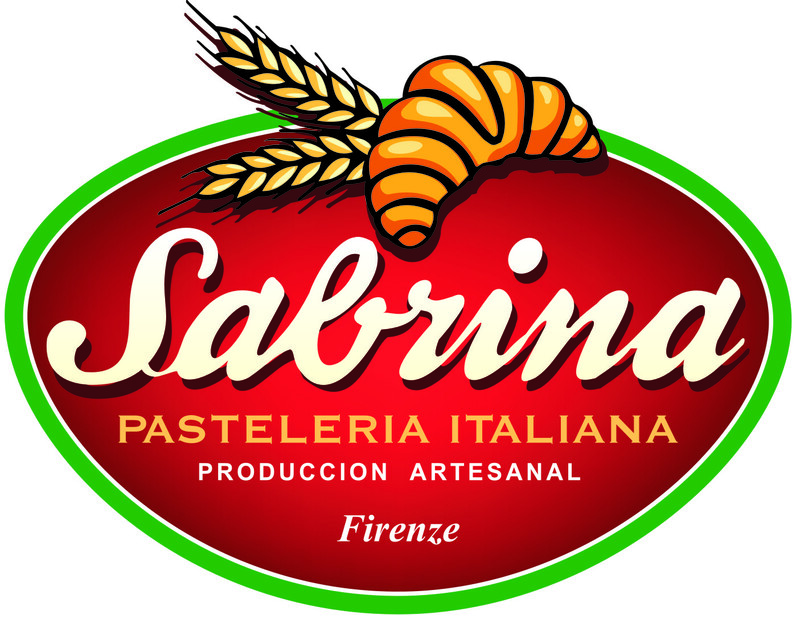 You can visit both, Sapori di Casa and Sabrina Pasteleria Italiana in the Marketplace section of the Taste of Playa Culinary Event, November 21st 2010 or in their shops which are located 1 block from each other. Written by Sherry Stevens. 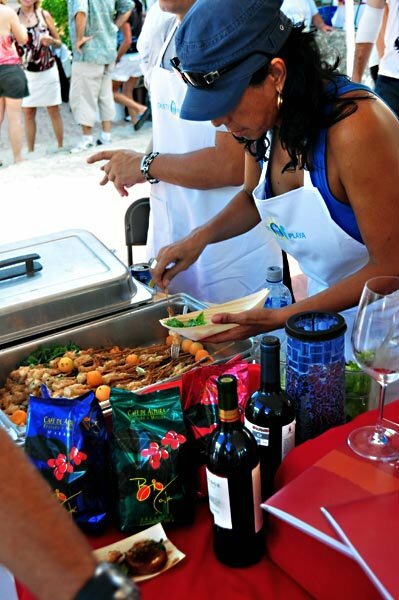 Sherry is the Marketplace Chairperson for Taste of Playa 2010. She is an agent for One Stop Real Estate and runs a regional travel website and blog www.TravelRM.com.